This comes as a set of 2 cartridges for complete change over of your existing older cartridges. Undo the end caps on the 8 stage unit, drop out existing cartridge and replace with new one, do the same process for the other end cap. When tightening the end caps, make sure they are screwed on properly and not cross threaded. Only do up to hand tightness. 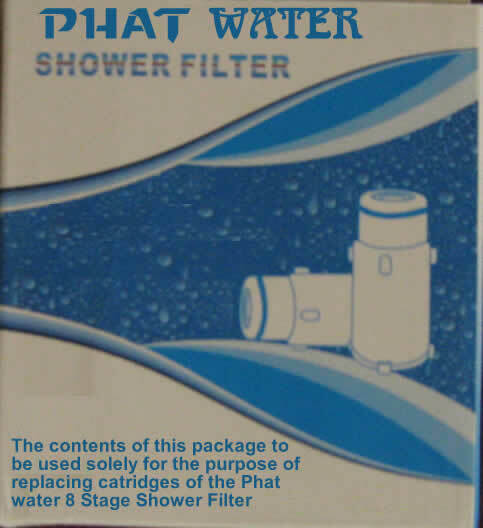 Each month or so it is advisable to 'flush' your shower filter by following the instructions that came with your unit. Flushing the shower filter gives you longer life before the need to replace the contents.